It was only a matter of time before I returned to F. Scott Fitzgerald in this reading of American classics. 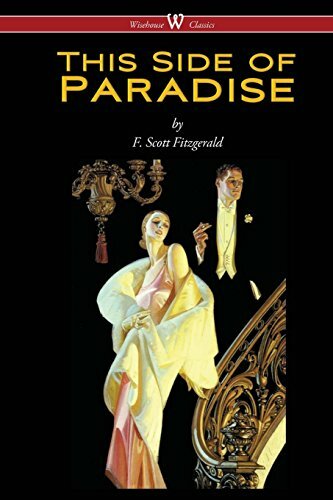 This time Fitzgerald's first book This Side of Paradise was on the docket leaving only The Great Gatsby left. Written in multiple rushed patches, Fitzgerald completed the novel in an effort to win back his relationship with Zelda Sayre. This Side of Paradise is distinctly unlikely the other Fitzgerald I have recently read. Consisting of many small scenes and sketches, lengthy elements of his own poetry, and occasionally letters, the book has a radical pace that occasionally feels disconnected and undirected. Perhaps only the extended sequence of letters contained in Tender is the Night is fully comparable to this experience. Over the course of the book, Amory Blaine's—himself the "romantic egotist"—growth and maturity is marked by the female relationships he has throughout this life. In between these milestones, Amory engages in fruitful conversations of politics, philosophy, and human experience and purpose. In typical Fitzgerald fashion, the name dropping of authors and philosophers is half the content along with many descriptive pages of the scenery for these engagements. "A personality is what you thought you were, what this Kerry and Sloane you tell me of evidently are. Personality is a physical matter almost entirely; it lowers the people it acts on. Now a personage, on the other hand, gathers. He is never thought of apart from what he's done. He's a bar on which a thousand things have been hung—glittering things sometimes, as ours are, but he uses those things with a cold mentality back of them." Truly, This Side of Paradise is Fitzgerald's attempt to describe the transition of Amory Blaine from a boyish personality to a manly personage. In a way that only Fitzgerald could pull off, the story works. Weird structure and all. In conclusion, This Side of Paradise is currently behind Tender is the Night for my favorite Fitzgerald. The looming mass that is The Great Gatsby remains. There are so many high points that reflect Fitzgerald's unique style that I'm confident I'll return to it soon. “Person A: I’ve no more virtue to lose. Just as a cooling pot gives off heat, so all through youth and adolescence we give off calories of virtue. That’s what’s called ingenuousness. Person Q: An interesting idea.